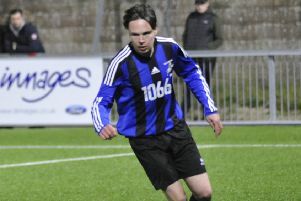 Westfield Football Club manager Jethro Warren blamed individual errors for Saturday’s defeat. The Westies conceded three second half goals to lose 3-0 away to Haywards Heath Town in Macron Store Sussex County Football League Division Two. Warren said: “The attitude and workrate of the players is good, but again it’s just individual errors. I don’t think we’ve had a good goal scored against us for goodness knows how long. After an uneventful first half, Westfield went behind when goalkeeper Connor Holland attempted to clear a ball down the line in the right-back area, but miskicked straight to Phil Elkins, who fired into an empty net from around 30 yards. One became two as Sam Henham, who has been playing well, was caught in possession and Lee Wragg capitalised. Westfield’s fate was sealed by a third Heath goal in which Holland parried a fairly tame shot and Phil Gault reacted quicker than the away defenders to mop up the rebound. Westfield: Holland; Burt, Archer, Henham, Bell; Warren; Coombes, Willett, Dadswell, Ringwood; Coombes. Subs: Darby, Seymour, Discala. Ashley Paine and Lawrence Brand are set to return for the visit of Oakwood this coming Saturday. Kick-off at The Parish Field is 2pm.